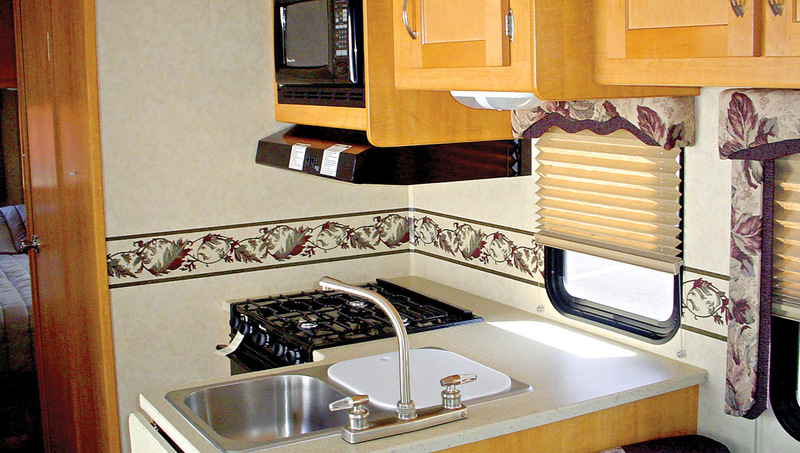 There’s no better way to experience the interior marvels of the Great Land than from the vantage point of one of our roomy, comfortable motorhomes. See the sights up close, stop to snap a photo, go fishing, have a picnic. Best of all, you set your own pace, choose where you’re going to go, and how long you want to stay. 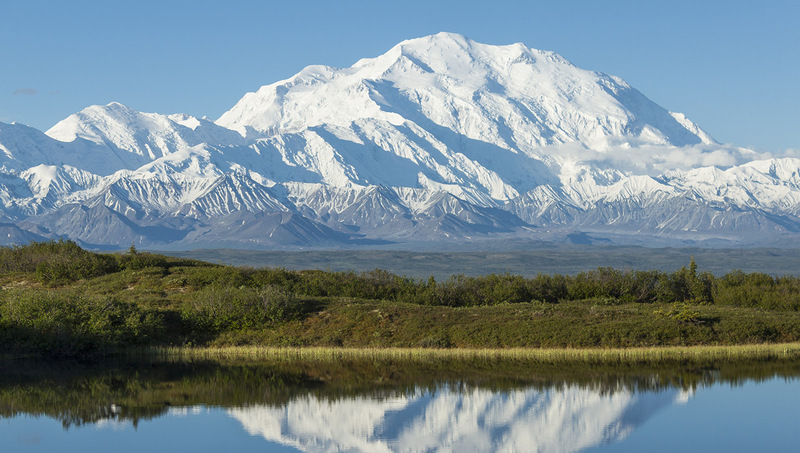 See Alaska at your own pace. 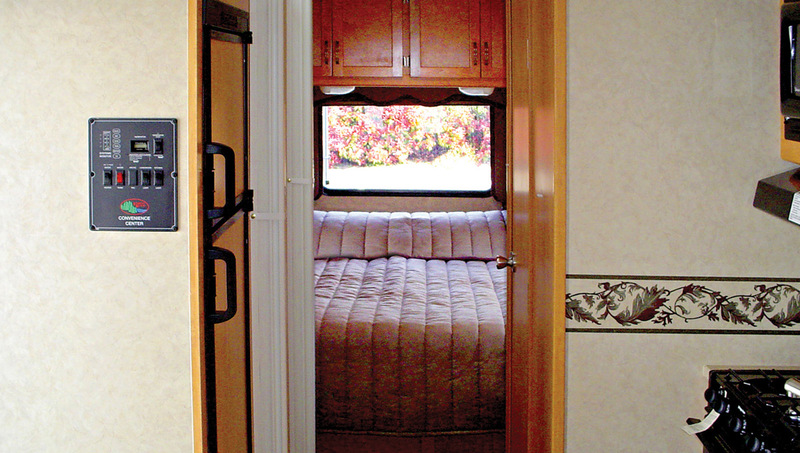 We offer Standard and Large Class C cabover size options, so no matter what your needs are we have an RV to fit you. 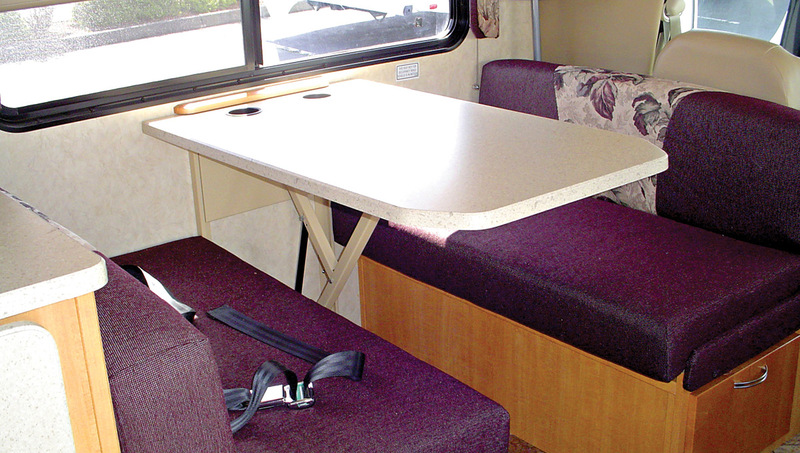 The larger models provide plenty of room and privacy for families and other guests. 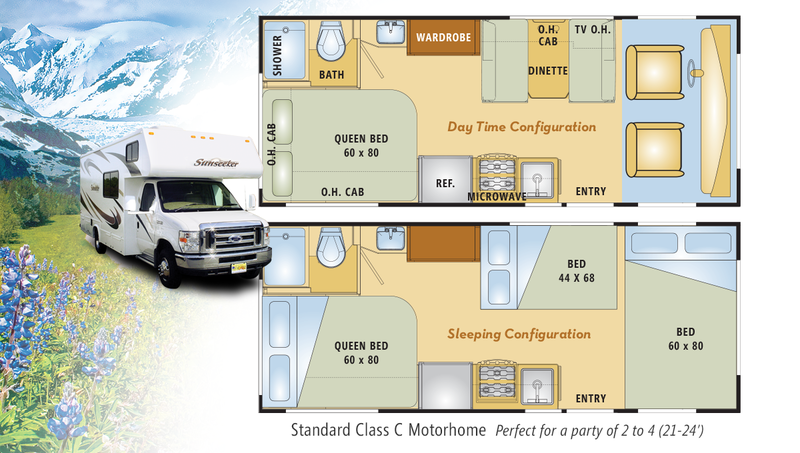 Our Large RV is perfect for a party of 4 to 6 (28-31 feet) and the Standard RV is perfect for a party of 2 to 4 (21-24 feet). 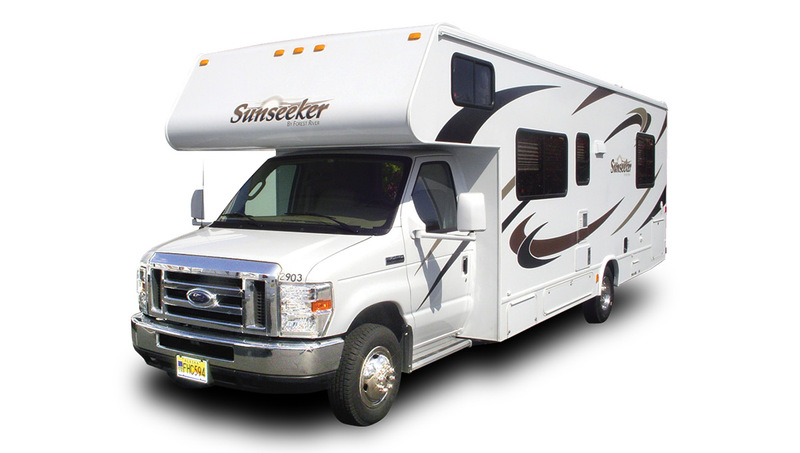 Motorhome sizes are determined by exterior length. 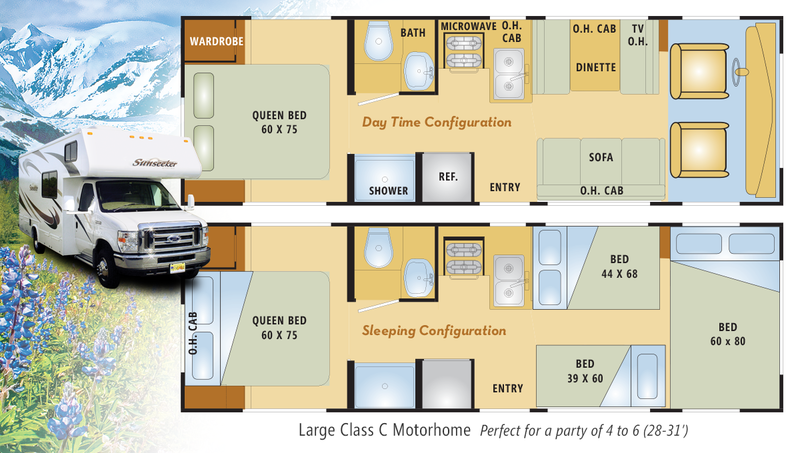 The floor plan illustration shown is a sample of the day and night configuration. 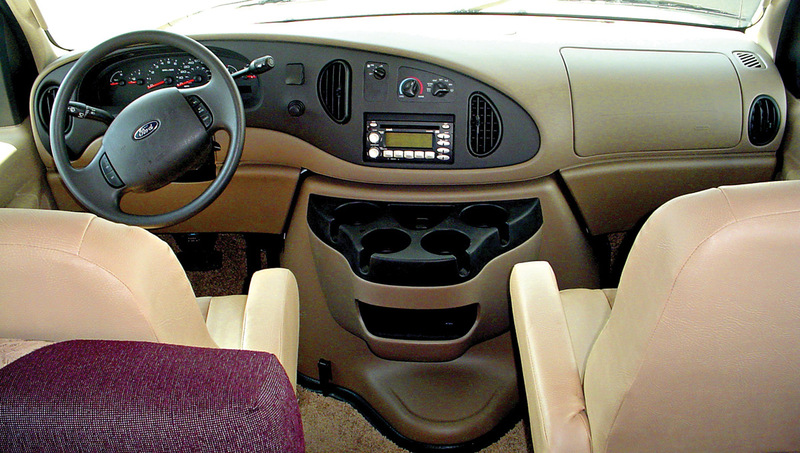 The actual floor plan in your vehicle may be different from those illustrated. 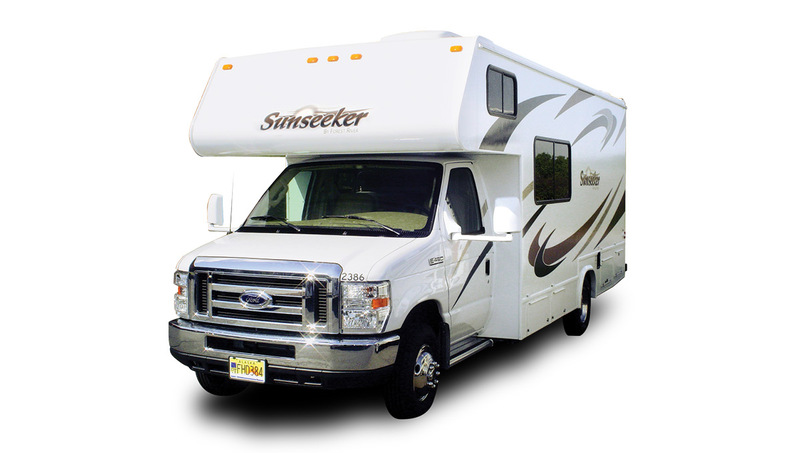 Experience the Ultimate Road Adventure! 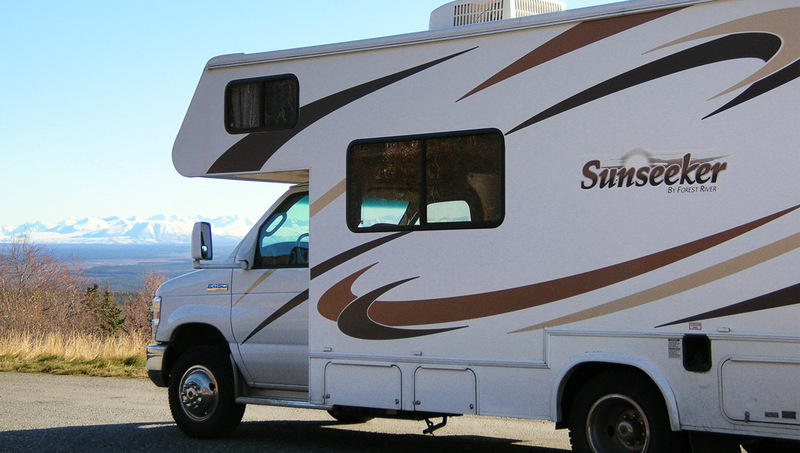 If you have never driven a motorhome before, no problem. 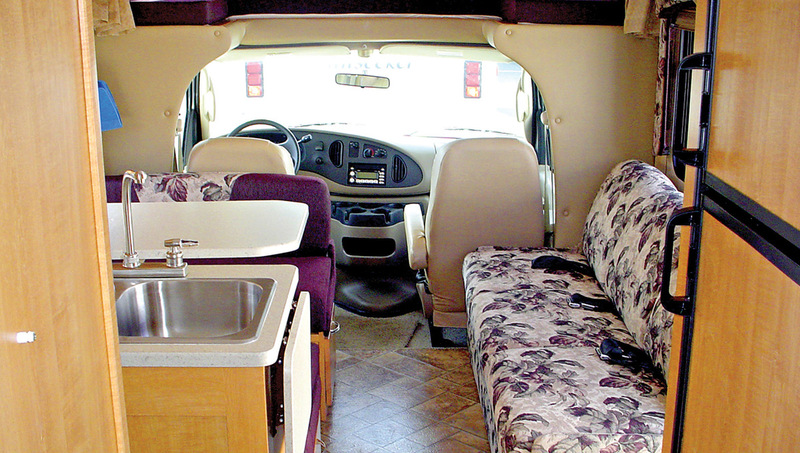 All of our motorhomes are Class C “cabovers”, simply a home built on a van chassis, and most of our guests tell us it’s as easy as driving a car. 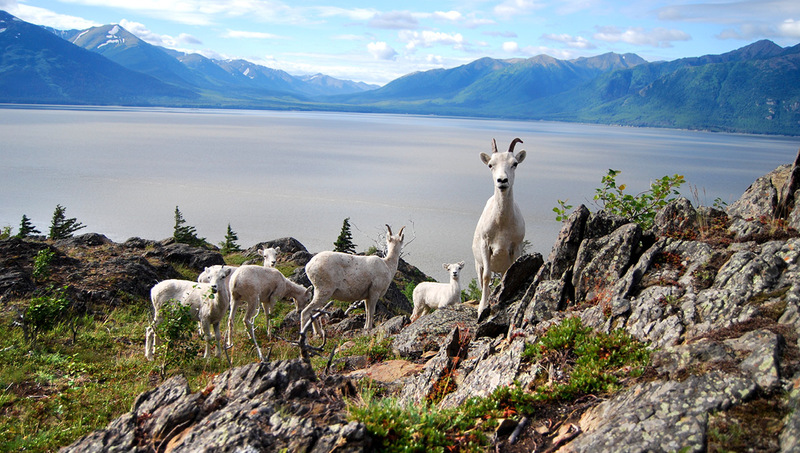 Wildlife in Alaska is diverse and abundant. 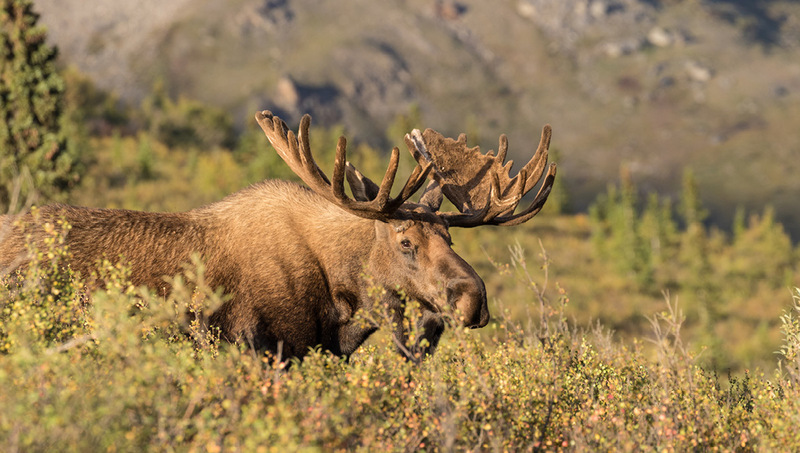 Some of the most common include: Brown and Black bear, Caribou, Moose, Mountain Goat, Bison and Dall Sheep. 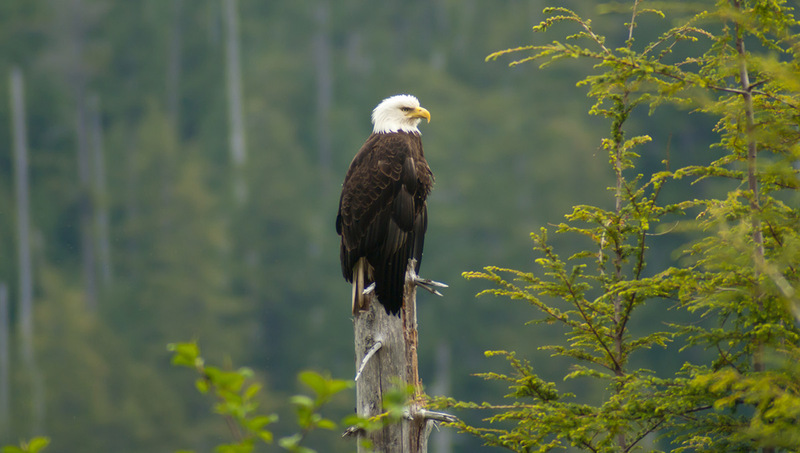 Thousands of species of birds inhabit Alaska, especially in coastal regions, including Bald Eagles, Canadian Geese, the Horned Puffin, Osprey, and a variety of owls. And of course Alaska is well known for Whales, including Humpback Whales. North Pacific humpbacks come to Alaska to feed on the riches of our sea and migrate more than 3,000 miles from tropical waters, like Hawaii, to the cooler waters of Southeast Alaska in as few as 30 days. 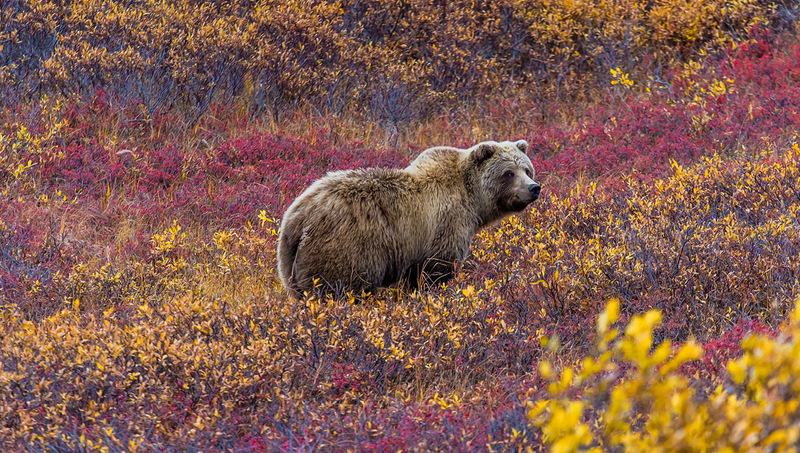 Home to North America’s tallest mountain, and to wildlife in amazing abundance. 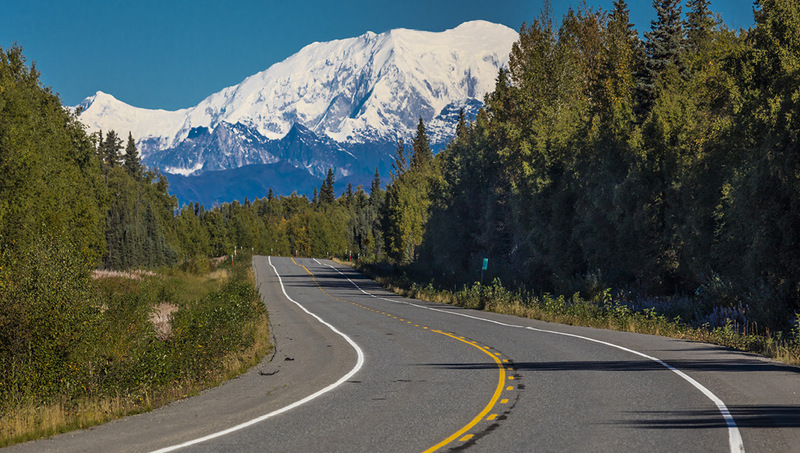 Weather permitting, you may catch a glimpse of 20,320-ft. Denali long before you reach the park, from the highway between Anchorage and Fairbanks. 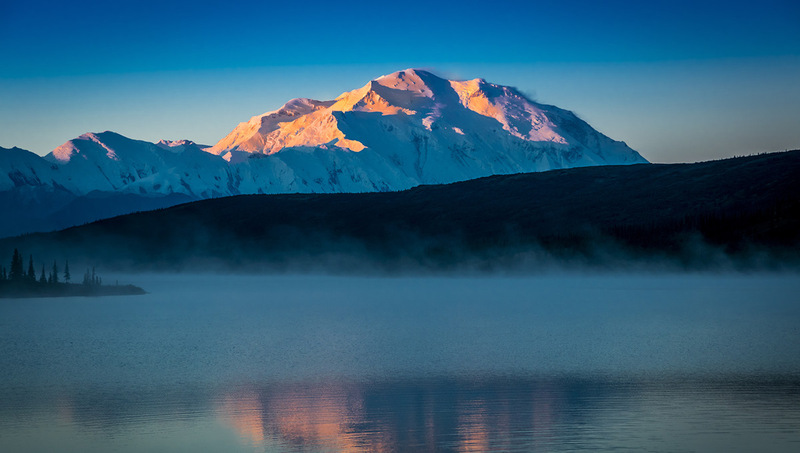 To fully enjoy your time in the area, sign up for an optional tour that allows you to experience Denali National Park. Between Whitehorse and Beaver Creek, is an UNESCO World Heritage Site. 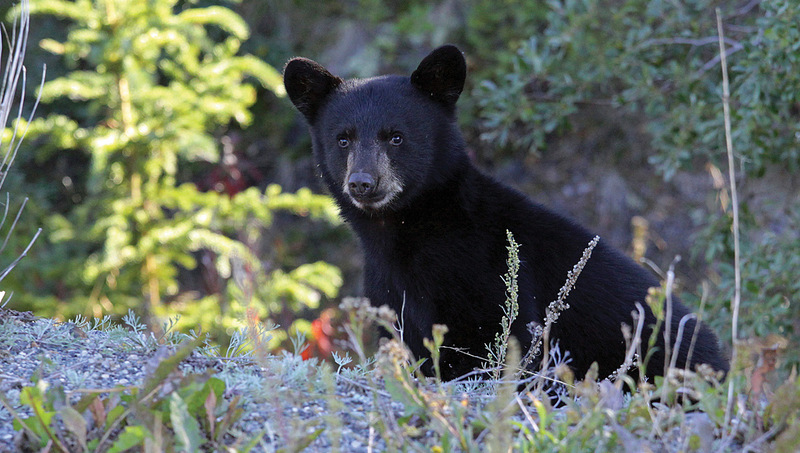 It contains some of Canada’s highest peaks and is a prime wildlife-viewing area. 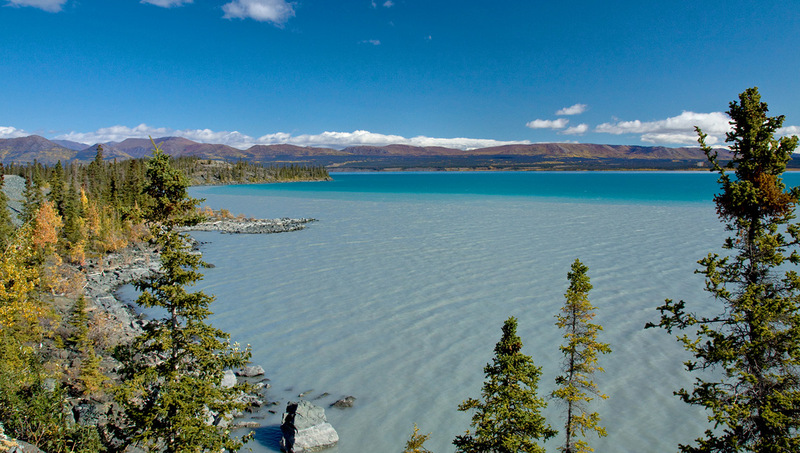 The Alaska Highway skirts crystal-clear, glacier-fed Kluane Lake for 40 miles while the snowclad, 7,000-ft.-plus Kluane Ranges parallel the highway to the west. 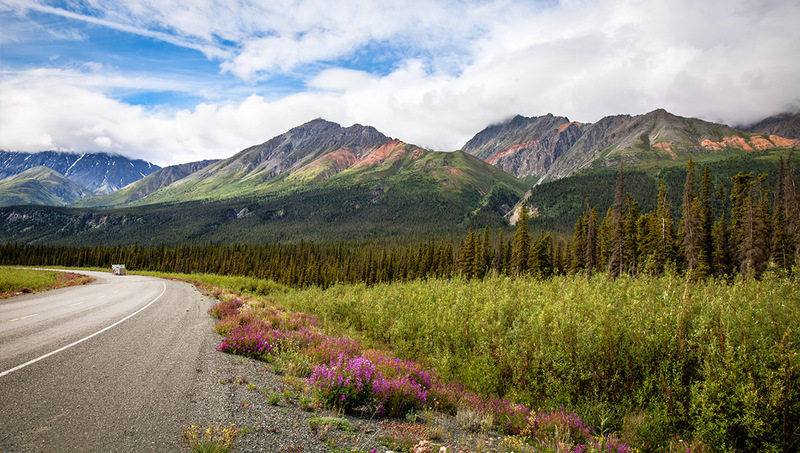 Take sidetrips into the park for trout fishing, gold panning, walking the tundra and marveling at colorful wildflowers. The scenery is incredible. 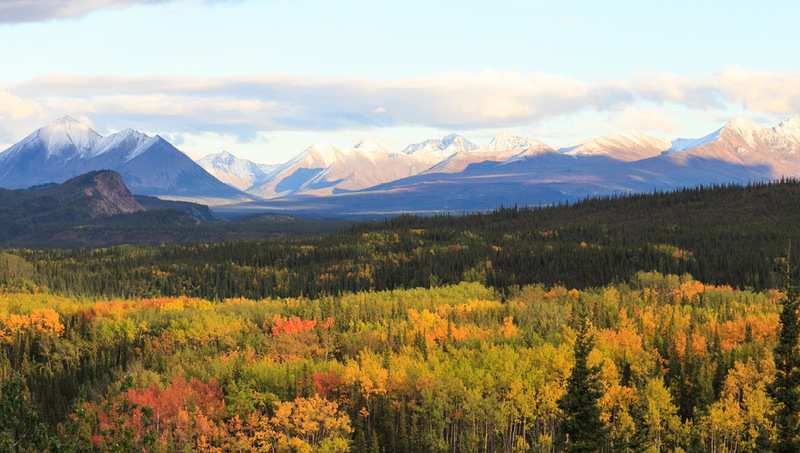 You may glimpse distant giants of the St. Elias Mountain Range. 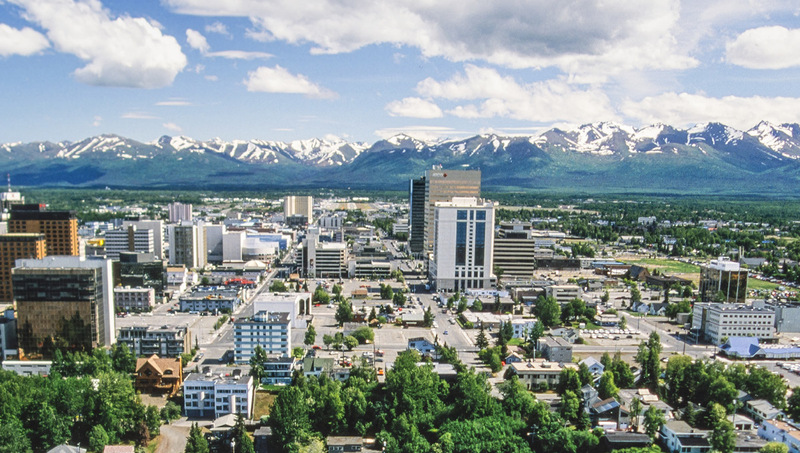 ANCHORAGE is Alaska’s largest city, but you still sense the proximity of the wilderness and the frontier spirit. Among the sights: the world’s largest seaplane base, and the Museum of History and Art. Witness the tidal bore along Turnagain Arm (conditions permitting), when a wall of water up to six feet high rushes up the inlet. 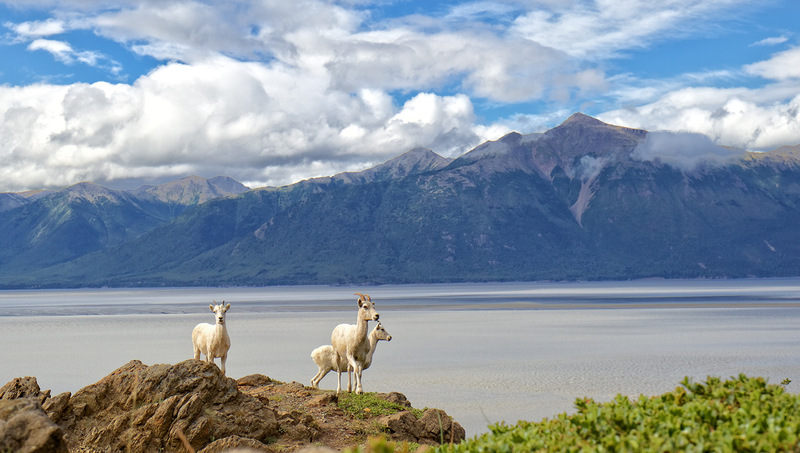 HOMER, on the Kenai Peninsula, attracts fishermen, artists and seekers of spectacular scenery. 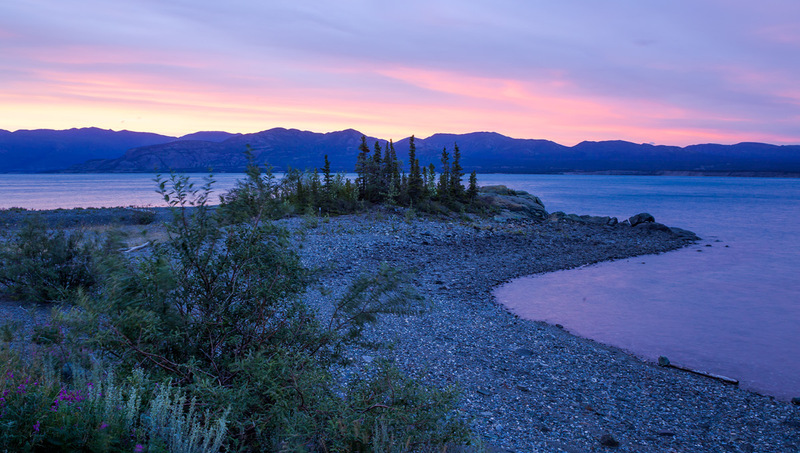 Across the bay a timbered coastline rises to the glacier-capped peaks of the Kenai Mountains. 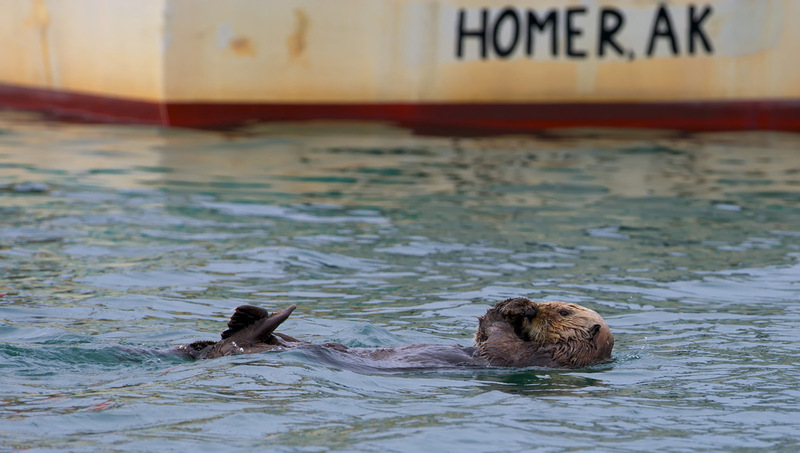 Visit Homer Spit, abustle with fisherfolk, a small-boat harbor, canneries, boat building shops and the occasional artist with an easel. 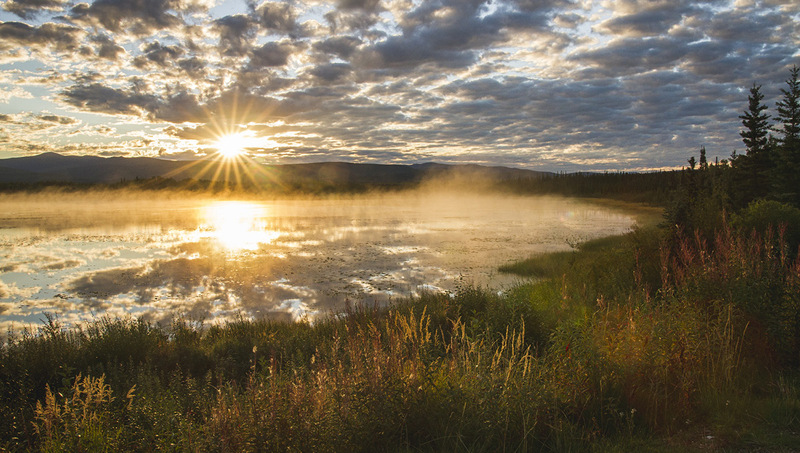 FAIRBANKS began as a Gold Rush town and has been thriving ever since. Here you may inspect the TransAlaska Pipeline, just outside of town. Or treat yourself to a cruise on the old-style sternwheeler, Riverboat Discovery. Pay a visit to Gold Dredge #8, and try your hand at panning. SKAGWAY was one of the liveliest towns in the hemisphere in 1898, when it was the gateway to Gold Rush Country. And it hasn’t lost a particle of its spirit.The whole downtown is a National Historic Park, with its well-trodden boardwalks and false-fronted saloons. Shopping is fun here, for anything from gold nugget jewelry to original works of Alaskan art. 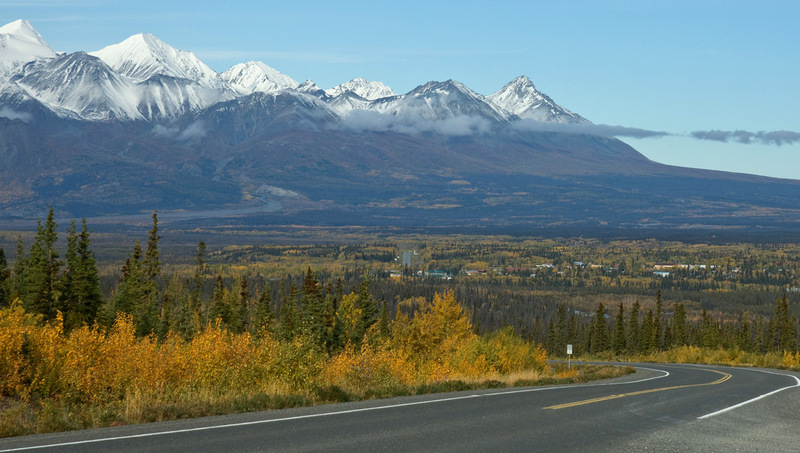 THE ALASKA HIGHWAY—this historic road began as a one-lane supply line to Alaska at the outbreak of World War II. Today it runs from Dawson Creek, BC, for 1,520 miles to Fairbanks. 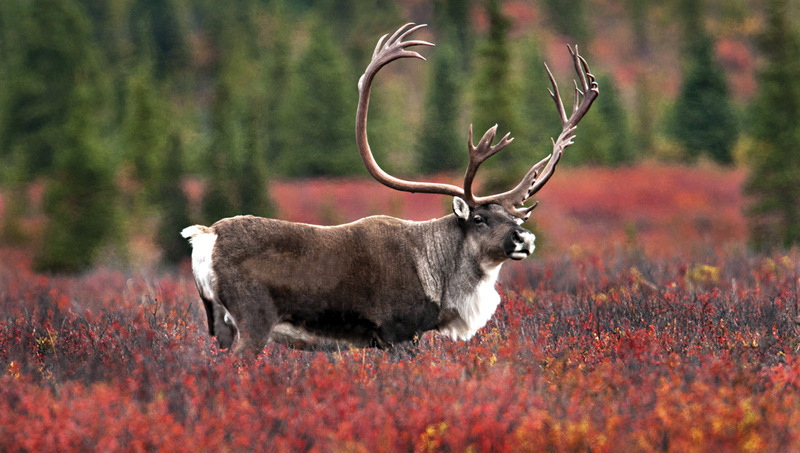 Along the way you might spot moose, caribou and Dall sheep. 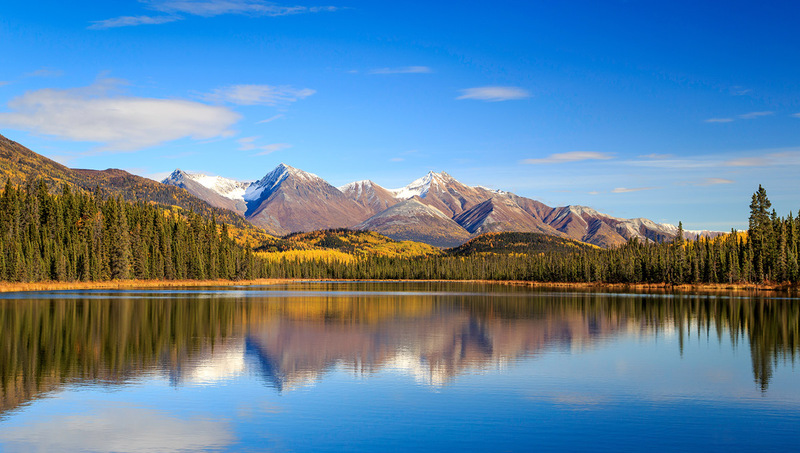 WHITEHORSE, capital of Yukon Territory, is a friendly modern city that provides vivid reminders of its Gold Rush beginnings. Here, on the banks of the Yukon River, the prospectors who struggled up from Skagway had their first chance to dry out after running the treacherous rapids of the Yukon River. You may visit the grand old sternwheeler, S.S. Klondike, permanently anchored on dry land by the riverside. Take the whole family for an evening of hilarious history at the Frantic Follies Vaudeville Revue. DAWSON CITY is a perfectly preserved Gold Rush town. Hardly anything has changed since the boom days when thousands descended on the town to get rich quick.